I have an L1 model 1 and an S1 Pro. I have just ordered a new Tonematch T1 and am seeking advice on the best way to set this up. Connect the VLP GTX to the T1 using the same cables you used for connecting it to your mixer. 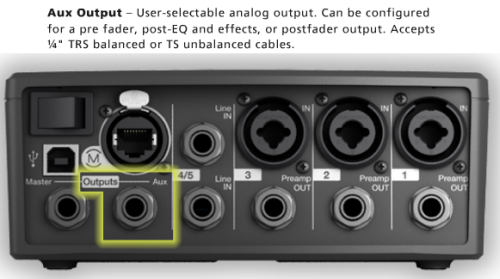 Connect the T1 Master Output to the L1 Model I channel 1. 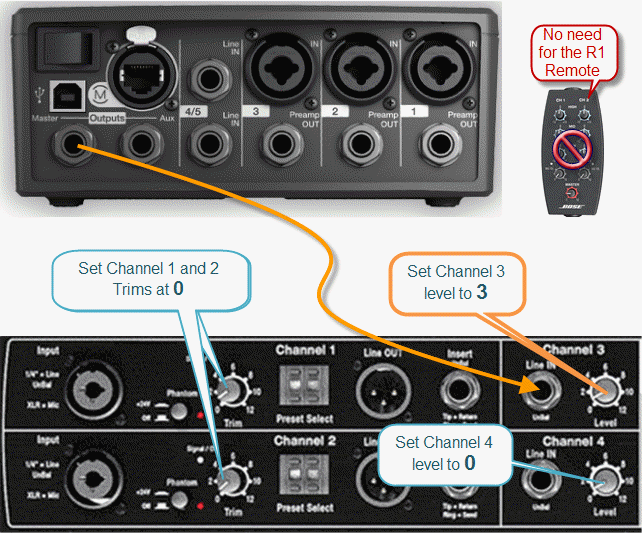 Connect the T1 Aux Output to the S1 Pro channel 1. Please click the picture below for details on how to create an Aux mix. Output cable from T1 master to channel 3 on L1 - TRS or TS? Yes, you've got some experimentation ahead of you. The 1/4" (6.3mm) inputs on the L1 Model I are unbalanced, so use a Tip-Sleeve cable. You can use a Tip-Ring-Sleeve cable, but it won't add any benefit. The Aux Out and S1 Pro 1/4" (6.3mm) input are both balanced connections. Use a Tip-Ring-Sleeve cable for best results.